 Most any dedicated disc golfer will tell you that field work is the basis of their success on the course. The majority of disc golf clinics have a loose field work structure as well. Field work can help correct common mistakes made on the course. If you’re not familiar with this method, field work is done in a large field, and you’ll typically throw multiple drives or approach shots with various discs to learn their flight pattern and lock in your form. Maybe you throw 5-10 drives to start with. You can throw approaches or putts from each of those initial drives. Maybe you empty your bag, putters and all, to see how far and accurate you can throw. 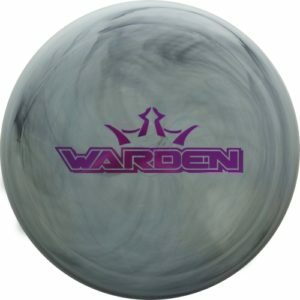 Another well used method that is recommended by most competitive (or passionate) disc golfers is putting practice. Practice 100 putts a day, work on putting with 90% accuracy, etc. This is an awesome way to get real world experience and prepare you for what you might face on the course. Putting practice can also be a fun way to find your favorite putter if you’re just starting out. 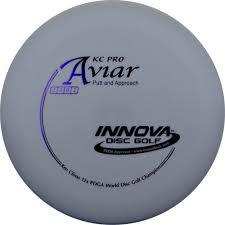 For beginners, try the Innova Aviar, the Discraft Challenger, or maybe the Dynamic Disc Warden! Repetitive motion activities like field work can fine tune your muscle memory. There are many factors to consider on any given disc golf shot. What is the wind doing? What’s the elevation? What disc should I throw? If we can rely on muscle memory for good form, we can execute all the other things more fully without meticulous concentration. And while repetitive motion may seem like a benefit, it’s important to know that repetitive movement can also lead to future injuries. Continuous stress on a joint by using similar, uninterrupted movements can lead to inflammation or micro tears in the soft tissue. These injuries, if left untreated, cause loss of flexibility, redness and swelling and may eventually lead to repetitive motion disorders like carpal tunnel, tendinitis/tennis elbow and possibly even arthritis. Disc golfers who throw back hand are more susceptible to tennis elbow, which is caused by a backward over extension of the wrist. Those who throw forehand are more susceptible to golfer’s elbow, which is caused by a forward over extension of the wrist. Even if disc golf is your main physical activity, you probably experience repetitive movements in your everyday life.Lifting, typing, even walking on your tip toes can be considered repetitive and may harm the joints. Does this mean we should stop doing field practice and limit our time on the course? Let’s break this down. 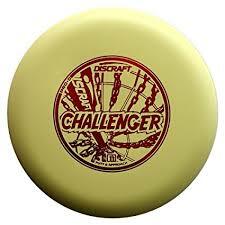 In 1 round of disc golf, assuming you’re throwing par, you’ll be throwing 54 times. The average throws or putts during field practice is around 100. So, looking at these numbers, field work is equal or less than a full 18-hole round of disc golf. But if repetitive motion can be a potential danger to the joints, how can we manage to keep our game AND body in tip-top shape? We work from the inside out. It’s important to create good habits whenever repetitive movement or actions are involved. If you’re moving your body in the same way over and over it’s beneficial to have good posture and technique. Move with purpose, find a few drills that work for you. Know what your end goal is before you start. Are you looking for distance or accuracy? Thinking, and working this way will lower the probability of causing lasting damage to the joints. Adding counter active stretches to your disc golf routine is another easy way to prevent lasting injury. This includes extension (lengthening/straightening) and flexion(bending/shortening) of the joints. If you stretch one way, stretch the other. When we use these stretches in our routine we can find full range of motion in each joint. This means that no one part of the joint is overworked and instead, all parts are working together. Using full range of motion has potential to add distance to your drive as well! Try a nice Cat-Cow stretch, small and large arm circles,side body stretches, or gentle neck circles. Wrist and ankle rolls feel wonderful after a long day as well. For more disc golf specific stretches check out “yoga for Disc Golf” classes if you’re in the KC area. If injuries occur, let them heal completely! This may seem like a no-brainer, but even if you have a slight injury, take time off from throwing. Of course, you’ll be itching to play, but the tissues in the body and specifically the joints need time to rejuvenate. Keep stiffness away with Epsom salt baths, saunas, and gentle stretches. You may also wish to use the R.I.C.E method for the first few days after an injury occurs. This is a well-known method for nursing sprains, shin splints or other painful inconveniences, the main goal of this method is to reduce swelling and pain by keeping excess blood flow away from the injury. Rest- Don’t be afraid to take time off the course! It’s important for the healing process to rest our joints. A few days off the course can be a motivator to revise our mental game. Get back to those positive thoughts and remember the reason we work so hard to improve our physical game in the first place. Ice- most beneficial in first days following injuries. Ice will alleviate pain and reduce blood flow and inflammation. Compression- wrapping the injured joint for extra support,reducing blood flow to the injury. Elevation– keeping injury at or above heart level when icing, laying or sitting to reduce blood flow to injured joint. If you struggle with chronic inflammation or stiffness in the knuckles, knees, or any other joints, try using an arnica product. Arnica (found in gels, salves, creams and more) is a wonderful alternative to Ibuprofen gel and is known to reduce swelling, bruising, and soreness. Icing or heating your joints in between rounds is another option for those on a budget. You can help injuries heal and prepare for success with nutrition.Reach for nutritious foods that won’t weigh you down and keep snacks in your Disc Golf bag. STAY HYDRATED. Dehydration can happen quickly and can cause stiffness in the joints, nausea and dizziness. A recommendation would be to start increasing your water intake a week before a long tournament. Start with an extra glass of water each day. 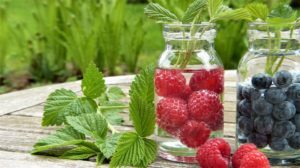 If you are someone who detests a plain glass of water, you can add fruit, herbs, flavor drops, or even cucumber to your water. Take caution when adding citrus to water on sunny days. Citrus oils are photo-toxic meaning they can burn skin when exposed to the sun. Keeping your skin hydrated helps tremendously. Your skin is your biggest organ, and your first defense against the elements. Sunscreen before sun exposure, lotion after. Vitamins are a great way to give your joints some extra love, and make you feel better overall! Vitamin supplements can betaken daily to keep your joints healthy and pain free. Omega-3 and Glucosamine are among the most popular vitamins used but always consult your doctor first. For a more accessible option, try green tea or ginger extract. Both are naturally anti-inflammatory and are said to minimize joint pain even in arthritic bodies. As with all things, strive for balance. Work, recover, prepare, repeat. Field work and putting practice can be great assets when used correctly. Use correct form to create reliable muscle memory. Stretch before and after repetitive movement to repair and prepare your joints, muscles, and soft tissue. Rest your overworked joints and let all injuries heal completely. Fuel your body with clean foods and lots of water, and don’t forget the sunscreen……and don’t forget to smile!